Warmer weather has us thinking about vacation and having fun outside, but we can't forget about caring for our skin. This time of year I tend to forget about my lips. None of those pretty summer shades will look their best if my lips aren't smooth and cared for. 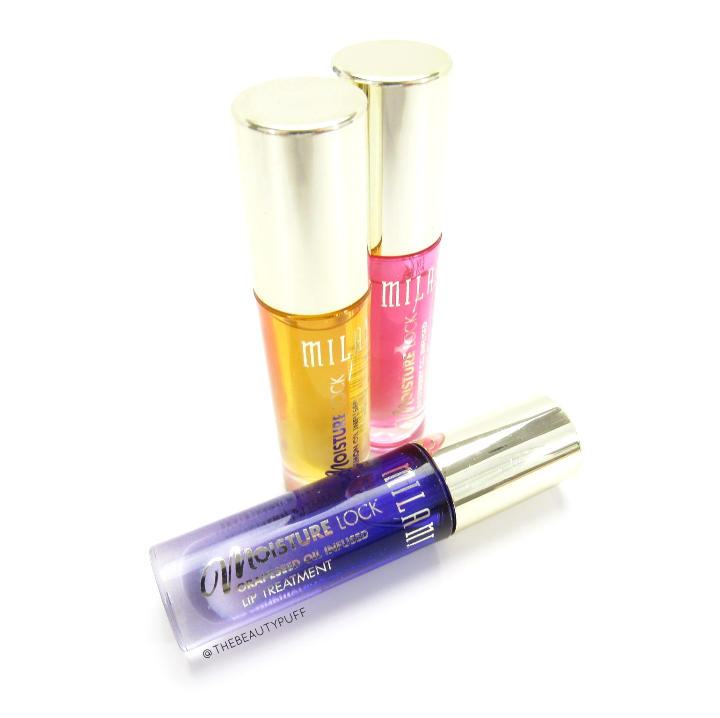 My latest lip treatment can be found right at your local drugstore - Milani's Moisture Lock Oil Infused Lip Treatment. 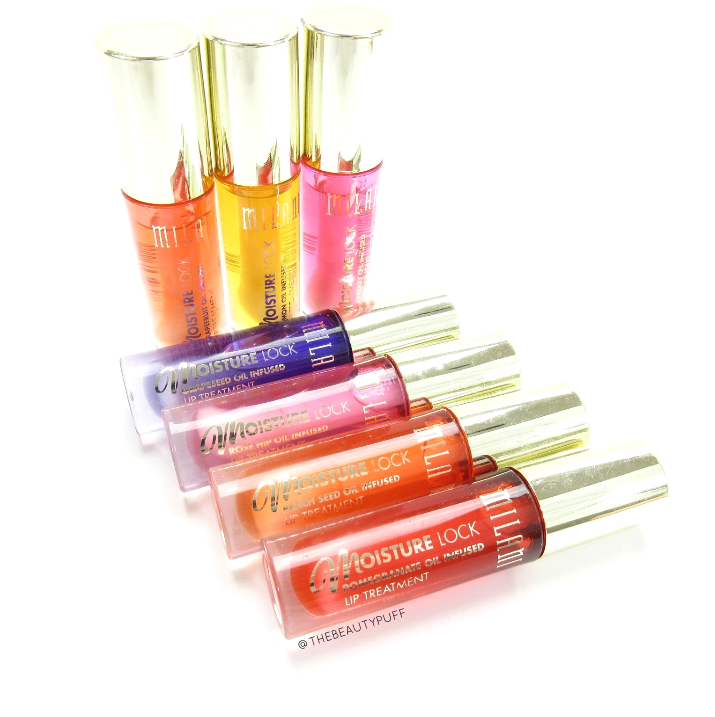 While these lip oils look gorgeous with their different colors, you won't be reaching for these for their pigmentation. They all appear like a sheer gloss on the lips, not vibrant pops of color. I find myself grabbing these when my lips need a boost of hydration and especially at night. Each of these scents is true to its name and not the least bit over-powering. I love the fresh fruit scents especially for summer! These lip oils hydrate with ingredients such as avocado oil, jojoba seed oil, sweet almond oil and coconut oil. Despite the different varieties and scents, I don't find that they perform different than one another. They all give rich moisture that really penetrates to promote a smooth, hydrated pout. It's not a sticky formula like a gloss, it's a slick feeling that feels really nice especially if your lips are already dry. The only thing that you might find yourself adjusting to is the over-sized applicator. I would say it's about 2-3 times thicker than your standard doe foot wand. The trick I have found to work, is tapping the product on first, rather than swiping straight out of the tube. It just helps make use of all the product on the applicator. I've gotten used to it and it's actually really comfortable. 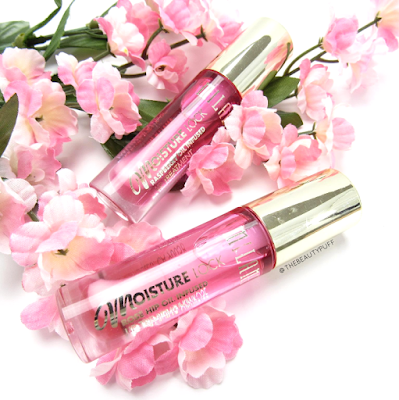 Overall, I love the hydration, scents and price point of these lip oils! You can find the Moisture Lock Lip Treatments on Milani's website below!